Economics – We’ve all seen the statistics behind supporting locally owned businesses and the benefits to the local economy. A higher percentage of your dollar stays within the local community when you shop at a locally owned business. Even if you aren’t in your local community supporting any local economy makes a big difference. One-of-a-kind – Many Historic Park City merchants offer one-of-a-kind items you won’t be able to find in national big box stores. You’ll always remember that special memento you picked up for Grandma and the story behind the item. We’re not so sure you’ll be able to say the same about the slippers you grab at that big box store. Art(ist) Matter - Local artists make many of those one-of-a-kind items, meaning you are not only supporting the owner of the business, but you are supporting the local artist community. Embrace the local community – Park City is a destination for millions of visitors each year. These visitors seek out the Park City experience not only for the hundreds of inches of snow that falls each year but also for the one of a kind experience offered by the galleries, boutiques, and restaurants that line Park City’s Historic Main Street. Build Relationships – often you’ll meet the owner and buyer when you pop in. The more you visit that business, you’ll get to know more about the proprietor, and they’ll get to know more about you perhaps eventually they’ll think of you on their next buying trip. When it comes down to it, you need to get the gifts that will make your friends and family happy when they tear through the wrapping paper. And it’s just so easy to go to one mall and check everyone off your list, right? Luckily, Park City’s Main Street offers one location to do the same thing. And I promise you the restaurants downtown make a meal way better than Hot Dog on a Stick or Sbarro. Maybe you still have your doubts. Maybe you think Main Street stores only sell souvenirs and t-shirts. I’m here to tell you that you need to take a trip back uptown to see what’s really there. 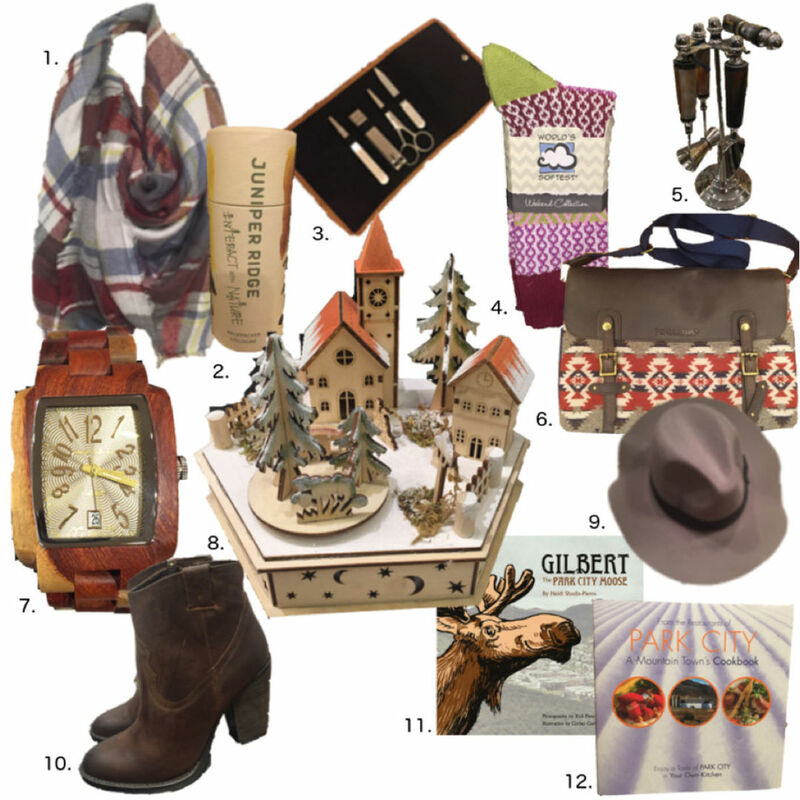 Here’s a very small sample of things that you can find in local, small shops in historic Park City. So this year, shop small, support local, and happy holidays!